Before we can talk about how to avoid binge eating, we first have to know what it is. Defined as “a bout of uncontrollable eating driven by at least three emotions: depression, anger and anxiety”, it becomes a vicious circle. You are in the thralls of one (or more) of your controlling emotions, so you comfort yourself by eating, and eating ... and eating. Then you feel one or more of these same emotions because you binged, so you binge again. 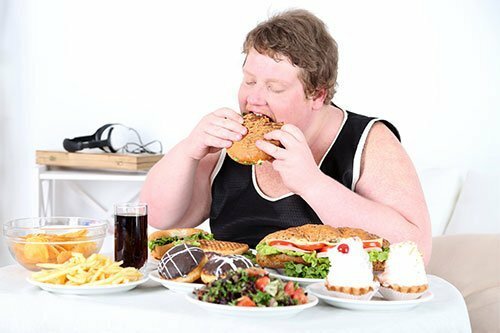 According to doctors, binge eaters are literally trying to stuff their feelings down with food. As long as they are eating, they don’t have to deal with the emotions that are controlling them at the time. Of course one way to control binge eating is to recognize which emotion is controlling you and deal with the reason causing that emotion. If you are too close to the situation, you may want to enlist the help of an eating disorder professional. They can help you recognize the cause and help you with a cure. Journaling - after a binge, write down what you think triggered it so you can work on eliminating the trigger. Ask for help - most bingers eat alone. When you feel a binge coming on, call a friend. That person can help talk you through your difficult time. Wait it out - Instead of raiding the refrigerator immediately, wait for 15 minutes and try and figure out what tripped the binge feelings. Head for the gym - instead of heading for the refrigerator, do something to occupy your mind. Not only will it take your mind off of eating, exercising can help work out whatever frustration is causing your binge temptation. Eat breakfast - multiple studies have shown that eating a protein rich breakfast can help stave off binge eating at night. Keep trigger foods out of the house - for some binge eaters, certain foods trigger the eating binge. So if you are a person that can’t stop at one peanut butter cookie or one scoop of your favorite ice cream, then don’t keep these things in your house. Many times the urge to binge will pass if you don’t have your trigger foods around to start it in the first place. Most important is don’t beat yourself up over it. You can’t change what happened, but you can work on preventing it from happening again, by implementing the six tips above. Along with that, don’t punish yourself by restricting your diet. That in itself can fuel another binge. Instead, try to move forward and plan your next healthy portion-sized meal or snack. Focus on making good food choices that include lean proteins, whole grains, fruits and vegetables and plenty of water.